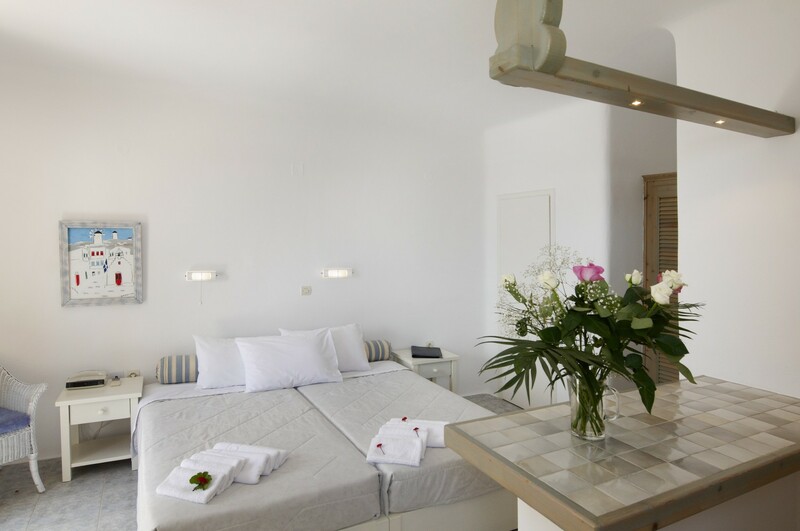 Using inspirations from traditional Cycladic architecture, this Mykonos accommodation differs widely from other similar buildings, due to its unique style and charming details. 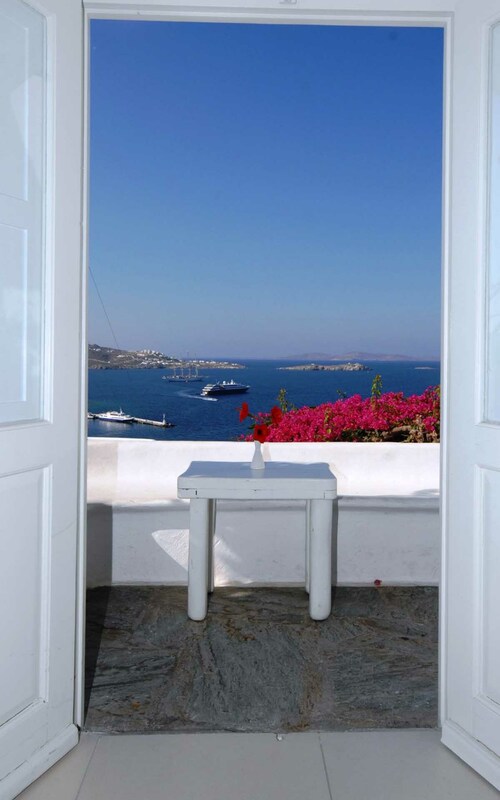 Original surroundings which combine comfort and cutting edge materials and architectural design, lend this Mykonos accommodation, a sense of the unexpected. 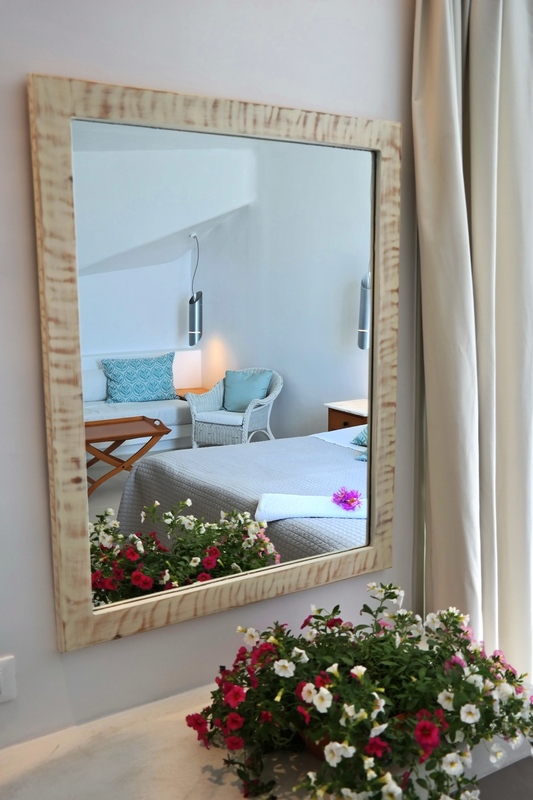 The room types available extend to a range of double rooms, family rooms, superior rooms and maisonettes, in order to satisfy every taste and need. 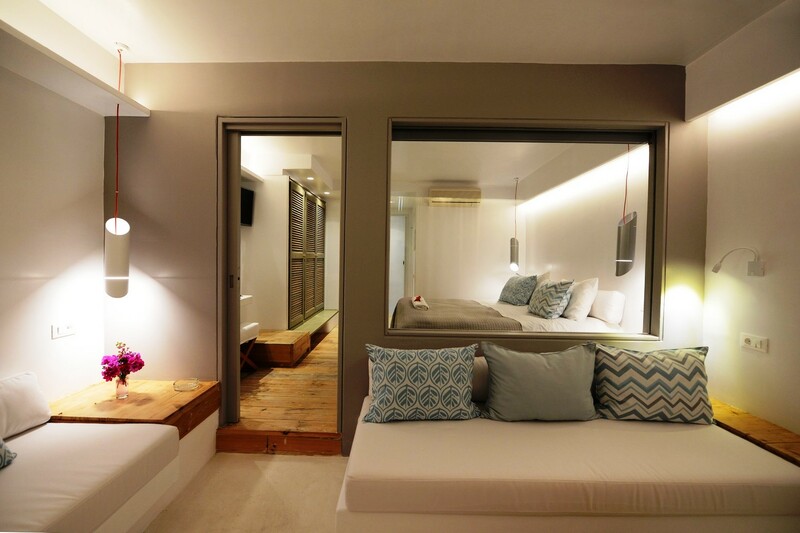 They are clustered together in an organic fashion reminiscent of traditional island life. 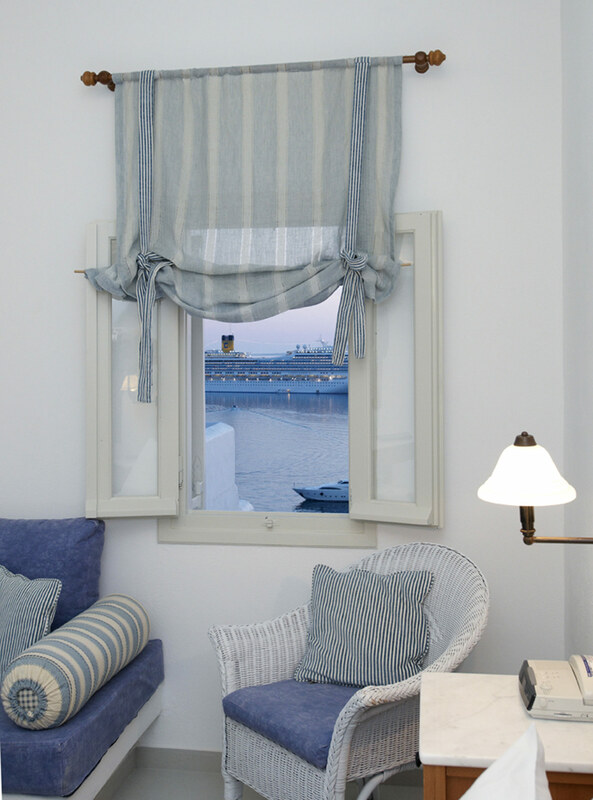 Rolling down the slopes of the hill, with rooms offering Mykonos sea views, privacy and exclusivity is reflected in the refined elegance and simplicity of the materials used. 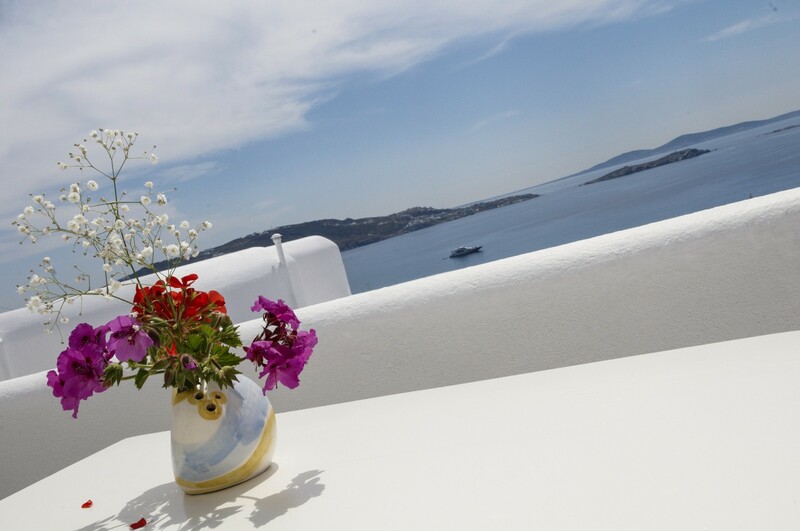 This Mykonos accommodation offers a variety of styles and decoration which in turn entertain the naked eye through the kaleidoscope of colours, levels and shapes witnessed. 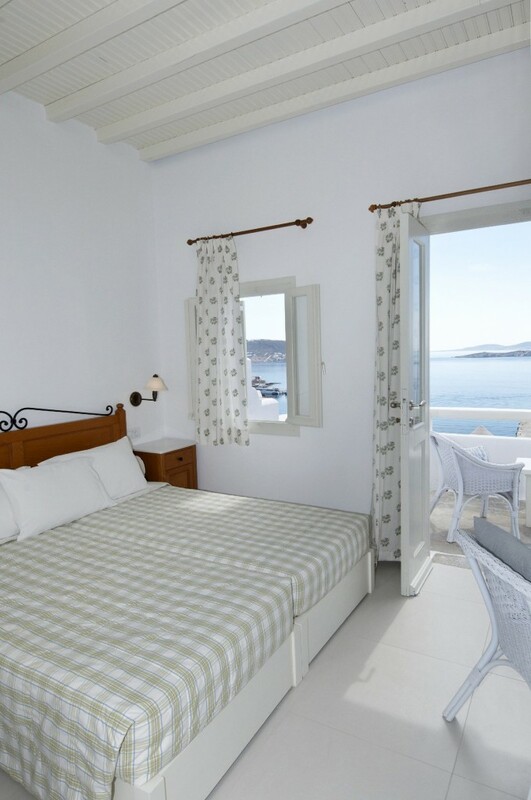 Ranging from the traditional stone – built Mykonos accommodation – style to more free and modern designs, offering Mykonos sea views, most of the rooms come equipped with mini refrigerators, a/c, satellite TV, safe box and direct dial telephones, in order to accommodate every need. 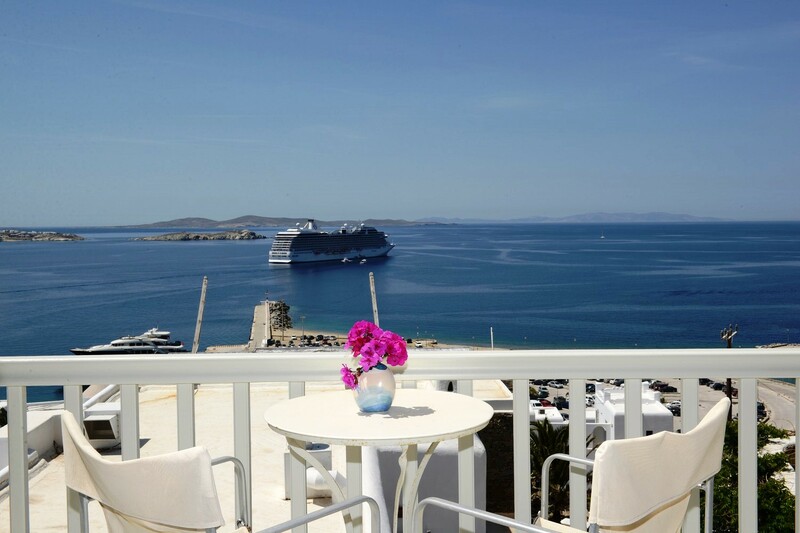 The Mykonos hotel buildings emphasize the beauty of Mykonos’ island landscape and blend in harmoniously with their surroundings.